Gerard Houllier can be credited with being the person who dragged the club out of its 1990s slump – a decade in which we only won two cups – and set us on the path the glories in this millennium. He took home a cup treble in 2001, a second League Cup in 2003, a European Super Cup, a Charity Shield, and second place finish in the league. Of course, Rafa then picked up the baton and delivered the Champions League, the FA Cup, another Super Cup, another Charity Shield, and another second place finish in the table. So — it’s fair to say that Gerard knows a thing or two about what it takes to rebuild a side and put it on the right path. And he is loving what he is seeing from Klopp so far. “I like his attacking philosophy and I like the way his team stays in the opposition half to try and win the ball,” he said. “It is a very demanding type of football but it is spectacular and entertaining. “And I like the way he shows protection and affection to his players. Maybe he needs another year to win—we rebuilt in 1999 and had success in 2001. 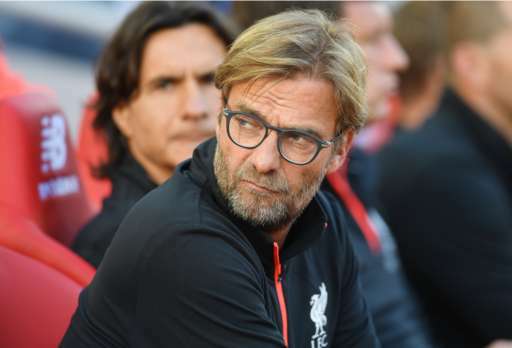 Klopp is just two days short of his one-year anniversary at the club, which he will celebrate on 8th October.